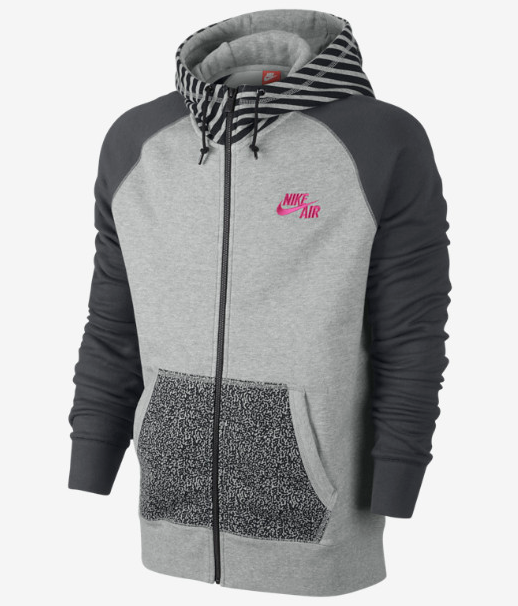 Cool looking zip-down hoody from Nike. Safari-esque look for the pockets combined with stripped print on the hood and pink logo spice up the grey overtones. Purchase here.